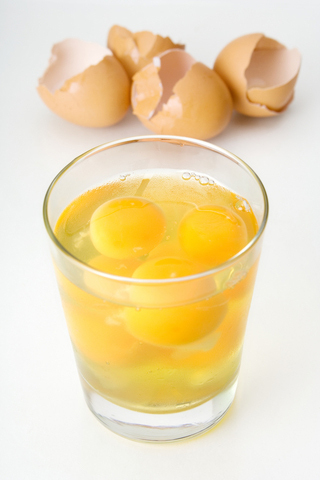 What does drinking raw eggs do for you? She asked curiously. I smiled and told her that it actually does a lot for me. We used to be class mates at college level, so she does see me drink raw eggs every break period and that was what brought about that particular question. Well at my teens I used to be a skinny guy who was so in haste on becoming fat, so I thought of trying the raw eggs since it is said to contain some healthy fat and some other nutrient to help me get a healthier look. Meanwhile, some people find drinking raw eggs irritating while others find it benefiting especially when drinking it along with milk. The reason I preferred raw eggs then was because I have this belief that the nutrients are still it their natural state not until the day I heard of an infection called salmonella which can be gotten from drinking raw eggs. Since then I started making cooked eggs a substitute but that didn’t stop me from drinking my usually raw eggs once a while. It is said that the benefits of raw eggs and cooked eggs are almost at the same level. So today on what does drinking raw eggs do for you, we shall be discussing under the following sub headings. Eggs are known to have high nutritional value which has made most homes use it as a healthy supplement in their meals. However, some people prefer drinking it in its raw form but the effect of drinking raw eggs is still unknown to some people. Cooked eggs are good but not as good as raw eggs due to the fact that when eggs are cooked, the quality of some important vitamins tend to drop but the irony of it is that these raw eggs which are richer in vitamins are more harmful than cooked eggs because drinking these raw eggs increase the risk of a bacterial infection known as salmonella and some other deficiency. So here is my reply to the person that asked me this question ‘’what does drinking raw eggs do for you? I will start by letting you know that raw eggs has some nutritional values which are really essential for the proper functioning of the body. An average egg weighing about 50grams is known to contain about 6grams of protein, 72calories, 5grams of fat, 22percent of selenium, 10percent of phosphorous, 6percent of folate, 13person of vitamin B2, 9percent of vitamin A, 8percent of vitamin B5, and 7percent of vitamin B2. With all these nutritional values, I don’t think you still need to be asking what drinking raw eggs do for me. But nevertheless, the nutritional values of raw eggs may not be enough reason for you to conclude that drinking raw eggs is actually good for me because the nutritional in raw eggs is almost same as that in cooked eggs. So there is a need to check out the benefits of drinking raw eggs below. Now, what does drinking raw eggs do for you? Well, drinking raw eggs has some valuable benefits which are the reasons drinking raw eggs became my favorite while I was still a teenager. If you are still interested in knowing what drinking raw eggs actually does for me, then continue reading. Raw eggs are richer in essential vitamins; unlike the cooked eggs where the efficiency of these vitamins is reduced, raw eggs contain the whole values without being harmful. Where these vitamins all have their important roles they in the human body, the vitamins A, E, D and K are known to work hand in hand in assisting the proper functioning of our cells while the vitamin B12 on other hand assists in the breaking of fats, proteins and carbohydrate. 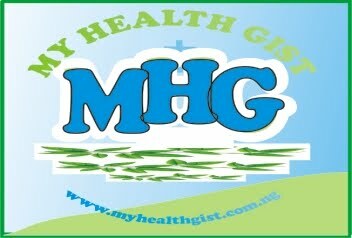 It is also said that Vitamin D cut down the risk of getting cancer by half. Drinking raw eggs reduce the risk of allergies; it has been discovered eating cooked eggs could be a cause of allergies because when these eggs are heated, the chemical shape of the proteins present in the eggs are altered. Raw eggs assist in the proper functioning of the brain and heart; the presence of choline in raw eggs improves the brain function and also assists in the preservation of memory. This choline plays a major role in the proper functioning of the heart. Raw eggs contain essential anti oxidants; with the help of anti oxidants like lutein, zeaxathin, and caro tenoids which are essential anti oxidants that protect the body from age related eye disease also known as macular degeneration. I think the benefits of raw eggs cannot be overlooked. To all those still asking ‘’what does drinking raw eggs do for you’’ I believe you are now convince that raw eggs do a lot for but don’t get it twisted. I am not saying raw eggs are better than cooked nor saying that cooked eggs are better than raw eggs. It is thing of choice, depending on your personal health requirements meanwhile you shall get to know the bad side of drinking raw eggs because everything that has good, have their own bad too. But before moving to that I will like to let you know how I drink my raw eggs below. When talking of how to drink raw eggs, there are different ways to do that, depending on how it suit your needs but all still revolves around buying your eggs, breaking it, stirring it and drinking it. Drinking raw eggs has never looked beautiful and delicious to those who haven’t tried it but as for me I prefer drinking it along with milk in other to improve its taste and also to suit my weight gain goal need. Others may prefer to blend them with avocado or raw honey; you may also decide to mix it with any smoothie ranging from bananas, pure vanilla, peanut butter, cocoa powder e.t.c depending on what you think can make it has a pleasant taste for you. Always remember to wash these eggs thoroughly in other to reduce the risk of getting infected with salmonella. Have you heard about salmonella? I think I must have mentioned it in this article before now; well salmonella seem to be the most common infection that could be gotten from drinking raw eggs. It is a harmful bacterium that is gotten from the egg shells or actually inside the egg which can lead to food poison. You already know that food poison has never been a friend to the body system whereby causing diarrhea, stomach ache, fever, nausea e.t.c. This is to tell you how bad salmonella can be. Now you must be thinking why the good gone bad right? Here is the good news – According research, it is said that the risk of getting salmonella is very low which is only about 0.003 percent as most of these raw eggs can be pasteurized to avoid the risk of salmonella. Pasteurization is a method used in reducing the number of bacteria and other harmful micro organisms through heating; therefore it is advisable for you to buy pasteurized eggs. Aside from the risk of getting infected with bacteria there some other bad effects of the excess drinking of raw eggs which will be discussed below. The Biotin Deficiency; biotin also know as vitamin B7 is an essential vitamin in the body which aids the production of glucose and fatty acids may not be absorbed in the body due to the presence of protein substance in raw eggs known as Avidin. This Avidin is found in the raw egg white, it is known to bind with biotin to prevent its absorption in the small intestine. The Good News; the good news is that biotin deficiency will only occur when you drink raw eggs in excess, that is drinking about 12 raw eggs per day for a long period of time. So who does that? Nothing in excess is good actually. Decline in protein absorption; It is said that protein are more absorbed in the body with cooked eggs compared to raw eggs where a study found that only 50 percent of protein in raw eggs are absorbed but 90 percent in cooked eggs. The Good News: Well since the absorption of protein in the body by drinking raw eggs is at average, then why not replace the rest with protein rich foods like milk and it likes. In summary since the bad sides of drinking raw eggs has their precautions, I can easily conclude that it is safe to drink raw eggs but safer to eat cooked eggs since the dangers in raw eggs cannot be found in cooked eggs. But nevertheless I will like to hear from you in the comment section – what does drinking raw eggs do for you? Good, bad or you don’t drink raw? Let us hear from you.